Former Pennsylvania Gov. Ed Rendell took the stand Thursday in the federal tax and bank fraud trial of Chaka “Chip” Fattah Jr., saying there’s “no question” that Fattah ran a legitimate business. At least in the limited capacity he did business with Rendell. “Very much so,” Rendell said when Fattah asked if he was satisfied with the photography service provided under the company name FattahGraphy for which he charged the governor-to-be $5,000. 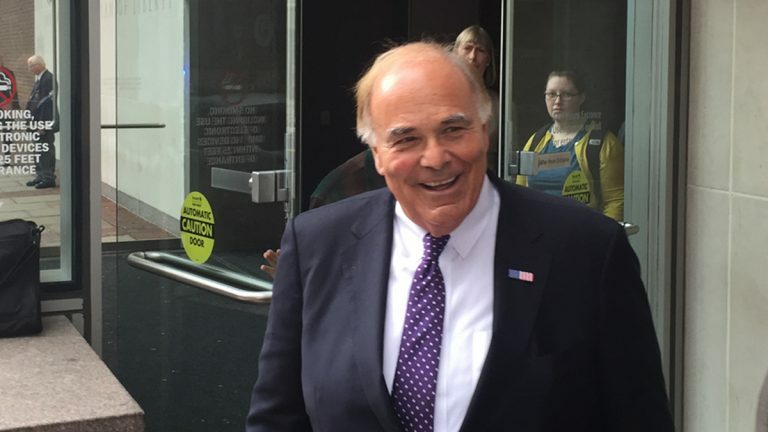 “He practically went to every public appearance I made,” said Rendell, saying that during his run for governor his schedule could include up to nine public events a day. When Assistant U.S. District Attorney Paul Gray asked Rendell whether he was aware of Fattah’s other business entities — including 259 Strategies, the consulting company at the heart of the prosecution’s fraud case — the former mayor and governor said he had no knowledge of its existence. Rendell was the first of several high-profile witnesses, according to Fattah, expected to vouch as happy customers. Tapping into the wide network of politically connected individuals associated with his father — the indicted U.S. Rep. Chaka Fattah Sr. — Fattah Jr. thinks he can convince the jury that he’s hardly a scam artist, as the government argues. He’s hoping to make the case that prosecutors have magnified small discrepancies in paperwork into a damning case. 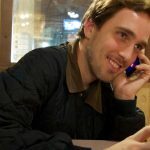 Federal prosecutors argue that 259 Strategies was a “shell” company, which he used to fraudulently funnel hundreds of thousands of dollars in loans to bankroll a luxurious life complete with a BMW, nights out at swanky restaurants and an upscale condo at the Ritz-Carlton in Center City. What’s more, Fattah, 32, stands accused of cheating a now-defunct for-profit company funded by the Philadelphia School District for disadvantaged students out tens of thousands of dollars. Rendell said he hasn’t at all been following the details of Fattah’s trial. “I know nothing about what this is about, nor do I care,” he said. If another former consultant made a similar request, he’d comply. His connection to the Fattah family, he said, played no role in his decision to be a witness in the trial. “I could’ve insisted on a subpoena,” Rendell said. “But I didn’t. “I saved the federal government some money. I was a fact-witness, guys. I had no choice,” he told reporters after his testimony. Next up, according to Fattah, will be a representative from U.S. Rep. Bob Brady’s office, who he says will attest to doing legitimate business from Fattah. On Friday, former Philadelphia Mayor John Street will take the stand, Fattah said, to talk about services Fattah provided him worth around $44,000. During the government’s opening testimony two weeks ago, Fattah was depicted as leading a slothlike life in which he lounged on his couch, watched television and ate pizza, while supposedly raking it thousands.